Yongey Mingyur Rinpoche is a meditation teacher in the Tibetan Buddhist tradition, as cited in Why Buddhism Is True by Robert Wright. What Rinpoche meant is that if you want to liberate yourself from the parts of the mind that keep you from realizing true happiness, you have to first become aware of them, which can be unpleasant. I trust after writing several articles (see bibliography below) that I have done an adequate job of creating a case around the relevance of mindfulness (largely but not exclusively through meditation) to the world of business. This series is intended to (Part 1) review past material and introduce a new (highly recommended) source and (Part 2) further develop two specific illustrations of the relevance of mindfulness to the Business Brain Model. As in previous articles, my references here to mindfulness, Buddhism etc. refer to the pragmatic secular (not religious or spiritual) aspects. “In summary, when assessing unfairness in the Ultimatum Game, meditators activate a different network of brain areas compared with controls enabling them to uncouple negative emotional reactions from their behavior. These findings highlight the clinically and socially important possibility that sustained training in mindfulness meditation may impact distinct domains of human decision-making” (as cited from Interoception drives increased rational decision-making in meditators playing the ultimatum game). As you might imagine, certain aspects of this phenomena are hard to quantify, but I have seen several sources propose that as much as 50% of your time can be spent in DMN (Default mode network) and as much as 80% of the ‘bad news’ that comes out of your ruminations never materialize. 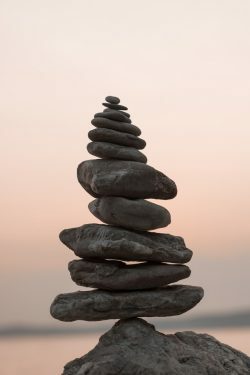 As a quick sidebar, I feel compelled to point out an important quandary: I believe it is philosophically inconsistent with mindfulness for it to be used to “enhance performance”. It is designed to enable you to come to grips with your life – not in a way that results in you not striving for success (whatever that means to you), but rather enables you to accept the challenges for what they are. For the purpose of this article – I will introduce select aspects reported by the journalist Robert Wright in Why Buddhism Is True. Wright is a practicing Buddhist who often explores the intersection of religion and science including psychology, cognitive science and neuroscience. While my objective is to report on Wright’s work as it relates to the Business Brain Model; an overview of the book at large is worth a small detour. I couldn’t begin to summarize the salient points better than to review using the brilliant Antonio Damasio (Assessing the Value of Buddhism, for Individuals and for the World). Second, the mismatch between causes and responses is rooted in evolution. We have inherited from our nonhuman and human forerunners a complex affect apparatus suited to life circumstances very different from ours. It worked well for nonhuman primates and later for human hunter gatherers, but it has worked far less well as cultures became more complex. With this overview behind us, I will further distill the relevance in areas such as how you make decisions; interact with others etc. and (most importantly), how our nature compromises our success. The jumping off point for the balance of this discussion (as it is for the Wright book) is evolution. The underlying theme is how the evolutionary process has stacked the cards against us when it comes to conscious control and objective information processing. Darwin managed to simplify the evolutionary context by confirming the primary agenda is about passing on our genetic material to succeeding generations. Without going any further than needed into the weeds – this manifest itself in many different ways. Walking around with this outdated operating software for our brain that was designed or fitted for a very different kind of life circumstance that has almost nothing in common with present reality. It’s designing organisms that get genes into the next generation. If illusions will help them do that, then illusions there will be. Before wrapping this section up, I provide additional perspectives (beyond those whose opinion could be argued to be biased) in support of the view that our perception of the world around us is at best subjective comes from the giants in the world of philosophy and science. So – in summary: we don’t see the world clearly and this has implications to several aspects of business. For further thoughts on this topic, a list of previously written articles is below. Terry Gross – Can Buddhist Practices Help Us Overcome The Biological Pull Of Dissatisfaction? Tom Ireland – What Does Mindfulness Meditation Do to Your Brain?